In anticipation of the U.S. theatrical release of the South American film The Desert Bride / La novia del desierto—opening this Friday, May 4 at the IFC Center in New York City, followed by other cities—TropicalFRONT dialogued with its Argentine directors, Cecilia Atán and Valeria Pivato, on working as a team, their experience in an Argentine-Chilean co-production, and their challenges making their debut feature film. In terms of screenwriting, what were the main difficulties and advantages that both of you had working together? Cecilia: We had many challenges. The first one was to find a universe that was appealing for both of us. This had to be a universe that interested us enough since we have to spend many years with the idea. Making a film is a long process. Valeria and I have known each other since 2003. We met working on Juan José Campanella’s film Luna de Avellaneda. For a long time, we worked as technicians for many other productions. We became friends and we met each other working, so we knew that we had a solid ground on which to start a project on our own. So when we had the need to make a film, we told each other why don’t do it together. Valeria: We found a particular way to write the screenplay. After we decided what the universe would be, we discovered our way of writing. Maybe the best analogy to describe it would be if you picture a ping-pong match. One of us would start an idea and give it to the other. Then, the other one would develop the idea, expand it, and return it to continue writing. Thus, once an idea went through this back-and-forth process, it grew up to the point that we decided it was ready. Sometimes this process made us digress from the main story, but we learned that these digressions also helped us to understand better the story we wanted to tell. Now it’s fascinating to see how these ideas grew because when I am asked what the origin of a particular scene was, I have no idea. I can’t tell if it came from Cecilia or from me. So this is how we know the process worked. Both of us shaped the whole project at the same time. Once the text was ready and shooting started, how was the experience of directing together? Cecilia: Our experience working for other filmmakers helped us to understand that the challenges you face when you write the screenplay are quite different than those on the set. When you write at your desk with your computer and a coffee, time management is different and you don’t have lots of people asking you things. We knew these would be the rules for the writing stage. But on the set, once you start shooting, urgencies are different. We had different theories of how to face this possible chaos, make the movie move forward and create a good working environment. For example, one of us took care of the cast while the other prepared the mise-en-scène. Obviously, we agreed on how to do these things in advance. Nonetheless, The Desert Bride is our first film in the end. We tried to do everything together, and we communicated just by looking at each other so we could provide a singular leadership. And it worked out. We both looked as having a single head. I think that working on the screenplay together – a three-year process – gave us a lot of peace about what we wanted to tell and how we wanted to tell the story. We knew each other’s style, so finding the universe was not the only thing we had to do, but we also had to search for a common aesthetic form. Our work was successful in the end, so we want to continue exploring our bond and this duo in order to generate more projects together. In Argentine cinema, it is not very common to see the geography of an area like San Juan in the western side of the country. How did you come to represent this space in your story? Valeria: We always say that the desert in our film has a double meaning: it’s at the same time both a geographical and a symbolic space. When we started to draft the story of this character and understood that her need would be to leave her thirty years of confinement in the house where she worked, we thought where she would go. We explored many other options in Argentina, and we arrived to San Juan. There was something about this desert as Teresa’s possible destination that was very appealing for us. As you well say, this is not a space much seen in Argentinian cinema. Also, in San Juan there is a mystical framework given by the presence of Difunta Correa [a semi-pagan mythical figure in folk-religion]. Thus, we understood that San Juan had this double value (geographical and metaphorical) for Teresa’s journey in the film. Also, the vast desert provided a very physical consciousness: finding yourself in the middle of these dimensions was something powerful. We researched about the myth of Difunta Correa: a woman who had to cross the desert in order to go beyond death by keeping her baby alive even though she died in the end. This story had a lot to do with Teresa’s story: Teresa also has to cross the desert in order to find herself. This is how we chose San Juan and we found a new potential for the film. Indeed, the myth of Difunta Correa becomes stronger in the film when you read it as an allegory of Teresa’s story. This is interesting because Teresa is a housekeeper who belongs to a particular social sphere with its particularities that are well depicted in the film. Can this “allegory” be read as a political move since this character acquires a more “mythical” or “legendary” status when you read it alongside Difunta Correa’s story? Valeria: This has to do with bringing up the figure of the housekeeper. This figure is known for being an employee but also as part of the family. What interested us is that Teresa spent thirty years with this family, she raised the boy as her own son and she had a very close relationship with her employers. She is part of the family, but once the house needs to be sold, she is not family anymore and she simply becomes an employee. We didn’t want to make a clear distinction between good and evil characters, because in the end the family loves her. The son’s gesture of finding her a place where to work speaks of the love he has for her. Also, it is important to highlight his struggle to incorporate her into his new family. I think this is a generational aspect, because it has become rare to find families with a 24-hour housekeeper at home. This speaks of our generation’s consciousness that tells us we don’t need someone to serve us all day long and that we should start thinking about this woman having a life of her own. This is a subplot that the movie has. Besides, Teresa discovers that although she belonged to this place, to this house, she can find other opportunities for herself. When she calls the son, Rodrigo, and tells him “I finally arrived and I love you very much”, it is a way of saying goodbye. This is a very big emotional growth for her because she was able to express what she was saving for herself for so many years. Teresa’s encounter with el Gringo has a deep impact on her development as a character in the film. There is a clear distinction between them: she is shy, inexpressive, and not much in touch with her sexuality while he is open and more sexualized. How did you develop their encounter and relationship? Cecilia: She spent most of her life serving others and her destiny was defined by external circumstances. In a way, she’s a secondary character in her own life. This house where she worked for so long becomes a refuge for her. So when she has to face the world by doing this trip that she doesn’t want to do, she starts to experience nature (rain, wind, heat, etc.). Nature seems to push her to her future and sets her free. You can also see this symbolic presence with her bag. This bag refers to both her past and future. In this desert she encounters nature, but also people. She becomes a leaf blown by the wind who finds other leaves, other people. She identifies with them but also creates a distance. This is what we wanted to express with the character of El Gringo. He is the opposite figure of Teresa. He’s sensitive, charismatic, and expressive. He’s rootless, in the best sense of the word. However, Teresa is deeply connected to the house. He is the only one who starts to take this woman out of her shell. But their difference fades with time, because in the end their solitudes find each other. This happens when their sexual encounter takes place. This is a particular scene because here, it is he who gives pleasure to her; and by doing this, he gets pleasure too. This is not a very common way of depicting sexuality. This scene was the only one that never changed in all of the three years we spent writing the screenplay. We think that the heart of the film is in this scene, symbolically speaking. The use of the different spaces, like the house vs. the desert, is one of the visual techniques that show the interior world of the character. What other ways did you use to represent what was going on inside her? Valeria: Once we understood that this story would be told from Teresa’s point of view, it helped us to define many other decisions later in the process. The mise-en-scène was one of them. For example, having her as the center of every frame and other characters entering her space has to do with our first decision. Thus, the mise-en- scène makes the audience stay at the same place where Teresa is, experiencing the strength of the wind or rain for example. We liked to link the perception of the story with what the main character was experiencing at that moment. These were aspects we decided with our director of photography Sergio Armstrong or production designer Mariela Rípodas. This gave us strength to take risks and translate the idea of having Teresa as point of reference into the image. Cecilia: Another aspect that is important is the economy of the film and our desire to be concise. This was something we had from the beginning in the screenplay, and we also had to translate it into the set. Being concise as a value defined all of our decisions. This makes the film modest, but not simple. This was something hard to acquire. 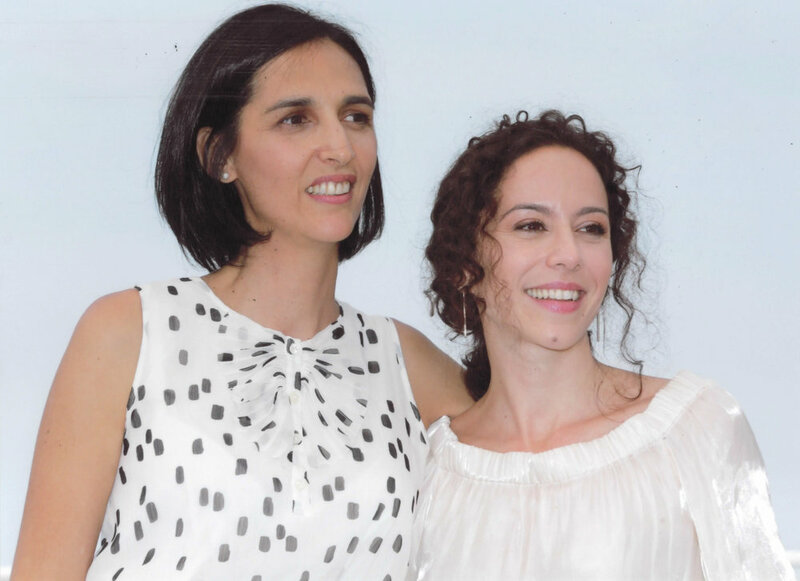 How was the experience of being part of a co-production between Argentina and Chile and, more particularly, working with the Chilean actress Paulina García? Cecilia: We started to write the screenplay in 2012, and then we needed to find a face for Teresa for future edits to the text. We needed a woman in her 50s, with great professional range but also subtlety since Teresa’s character would go slowly from an opaque starting point towards a luminosity by the end. That year Paulina won the Silver Bear for Best Actress in the Berlin Festival. We looked at her work and we thought she would be the one. We sent her an email and she replied not long after that she liked the screenplay very much, that she liked the character, and she was in. This was our first big “yes”. After that, we won the Fondo de Ópera Prima (First Film Funding Award) from the INCAA (Argentine National Institute of Cinema). Having Paulina as part of our project, we decided to start a co-production with Chile by applying for funding in that country. We got it one year later, so this made that a co-production would be possible. This was a beautiful process, because we found a lot of talent on both sides of the mountains. This co-production became a very important tool for the film. Valeria: We were able to show our first version of the screenplay to Paulina because we also participated in two different labs. The most important one was the Cine Qua Non Lab, where we had Christina Lazaridi as our tutor. We worked hard from the beginning with this screenplay, and once Paulina received it she could recognized all the effort and the origin of a strong story.